It is an open secret in EU circles that the Commission chief likes to drink gin and sparkling wine. 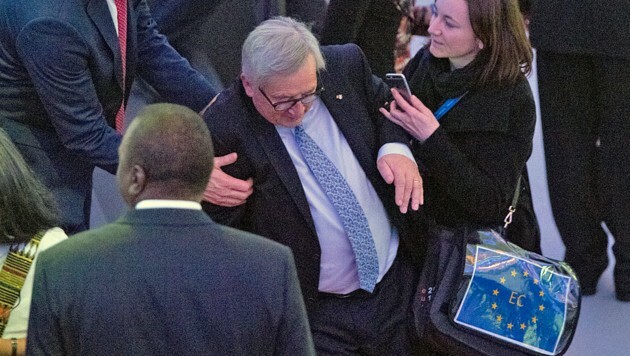 We have only one reason to give Jean “Clown” Juncker the prize for the best jerk. : because it is considered the perfect symbol of the EU: frivolous, rundown and dement. We see only one benefit from Juncker’s Jin influence: at least attacks on him are very unlikely. Moving targets that still wobble, sway, and cause strange contortions are hard to grasp!